By now, you should have heard of the Google Cardboard. It made everyone go gaga in the virtual reality world for a while. The intelligent kit brings 3D games and movies alive on your smartphone. Since the head mountable case with lenses created a buzz online, there have been many competitors filling up the market with their brands. One of these trademarks is the Google Cardboard GANA 3D VR Headset. 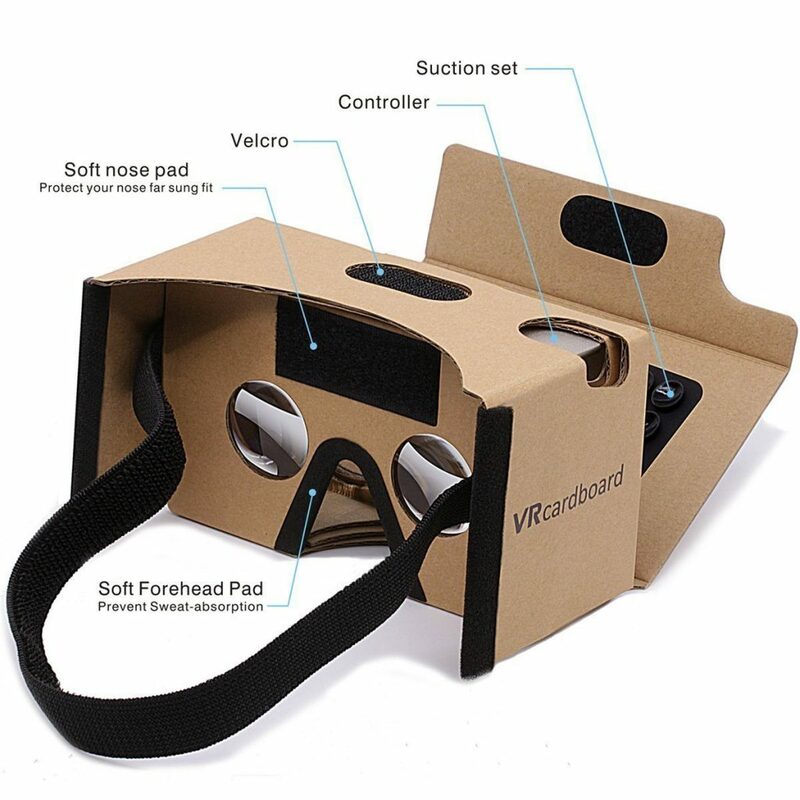 Based on the same design as Google, this is another great starter kit at an affordable price to turn your mobile device into a virtual reality world. So what does the GANA VR headset have compared to other Google Cardboard headsets? In comparison, there is a difference and you can view it here with our detailed GANA 3D VR Headset Review. Is the GANA VR Headset a Champ? The Google Cardboard GANA VR Headset for one changes your Android and iPhone into a magical world. You can throw yourself into the world of virtual reality for the best 3-dimensional experience. Whether it is watching movies or playing games, you get absorbed into the scene. GANA 3D Virtual Reality Headset has the same cardboard design made of craft paper. The colour is the same, with the exception of a few black patches. With the design of the GANA, you slide your mobile device in place and secure it. For comfort, it has a head strap with a forehead and nose pad. This is much more comfortable compared to other Google Cardboard headsets and assures that your phone will not slip through while enjoying your game. This headset is a cardboard kit that is machine printed for fast setup. You can easily fit a Smartphone with a 4.0 – 6.0-inch sized screen in it. The primary button type is indirect touch, suitable to use if you wear eyeglasses. There are a couple of downsides though. The headband is not adjustable. Additionally, it does not have focus and pupil distance adjustments as other more expensive brands. The dimension of the headset is 14.1 x 9.7 x 5.6cm. It weighs 88 grams. Further, you receive included with your purchase the VR 3D glasses, headband, user manual and a cleaning cloth. Are the lenses great to use and does it include a start-up app? The VR Headset has an aspherical 37mm diameter lens with a focal length of 45mm. What this means is it has a more complex surface and helps reduce light to help you view 3D games and movies on your mobile device. Further, it has an 80° field of view. If you are uncertain whether the headset is suitable for your phone, you can check out the Google Cardboard app available in Play Store. In addition, if you would like to enjoy a 360° viewing experience you will need a gyroscope on your mobile device. Overall, the customer feedback on the Google Cardboard GANA VR Headset is positive. If you take into consideration that it is made of craft paper, one cannot expect it to be one of the best VR Headsets available. Users are pleased with it and it seems to be rather sturdy piece of cardboard. The 3D VR Headset received a 4.4-star rating and customers recommend it as a great starter kit. 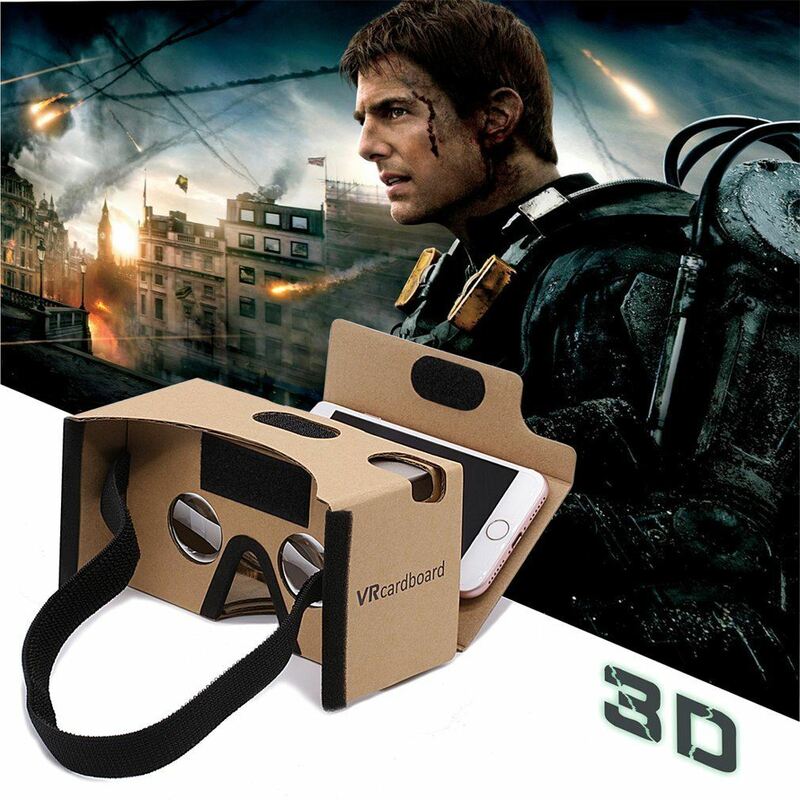 If you need a starter virtual reality headset suitable for your Android and iPhone device, the Google Cardboard GANA 3D VR Headset DIY Glasses are perfect. If you are in need of something a little more advanced at an affordable price, check out LESHP 3D VR Headset Glasses. It offers a couple more advanced features, but also costs a bit more. Next articleHow to Experience a Concert in VR?